Guatemalans reacted with anger and concern over their president’s decision to move his country’s embassy in Israel from Tel Aviv to Jerusalem, following suit as a result of a similar United State move, the Department of Expatriate Affairs, a branch of the Palestine Liberation Organization (PLO), reported on Wednesday. It said, according to WAFA, that several major media outlets in Guatemala have begun to focus on the angry reactions to the decision of President Jimmy Morales to move the embassy from Tel Aviv to Jerusalem, which entails recognition of Jerusalem as the capital of Israel, in spite of the fact that 129 countries have voted in the United Nations General Assembly against the earlier US move and considered it a violation of international law. 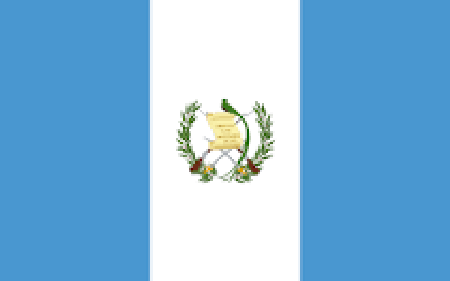 Guatemala was one of nine members who voted against the UN resolution. The Department of Expatriates Affairs said it heard from members of the Palestinian community in Guatemala and other organizations that following the decision by Morales concern was expressed among political, economic and media circles regarding the consequences of such a move on the county’s economy. Guatemala is the main exporter of cardamom pods that are used with coffee to Arab and Islamic countries with more than $300 million dollars of exports a year. When former President Ramiro J Leon Carpio (1993-1996) made a similar decision to move his country’s embassy from Tel Aviv to Jerusalem, he was forced to quickly rescind that decision when Arab and Islamic countries closed their doors to the Guatemalan market. Former vice president of Guatemala, Eduardo Stein (2004-2008), warned of the negative consequences of the decision by Morales, who is facing impeachment on corruption charges. He said, in a statement published in various media, that this decision will have great economic implications for Guatemalan society and will affect more than 45,000 small-scale cardamom farmers, thus affecting the country’s economy and hurting more than 400,000 Guatemalan citizens assuming that every small-scale farmer employs 10 workers. The president of the Union of Guatemalan Exporters also warned, in an urgent letter to the Guatemalan Ministry of Foreign Affairs, of the consequences of this move on the local economy, particularly since the Islamic and Arab countries are one of the largest markets importing cardamom pods from Guatemala, and therefore any potential boycott by these countries and the closure of their markets for Guatemalan products will result in major economic shocks that will directly affect hundreds of thousands of families in Guatemala. The Department of Expatriates called upon the Arab League to seriously consider imposing an economic boycott on any country that recognizes Jerusalem as the capital of the Israel or move its embassy to it. The Organization of Islamic Cooperation has openly called, in its recent summit held in Turkey, on member states to resort to economic boycott as an effective measure against any state that recognizes occupied Arab Jerusalem as the capital of Israel.